Elevate your style quotient with this alluring set. 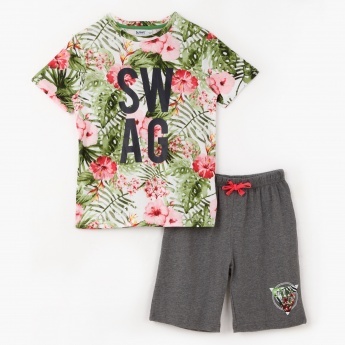 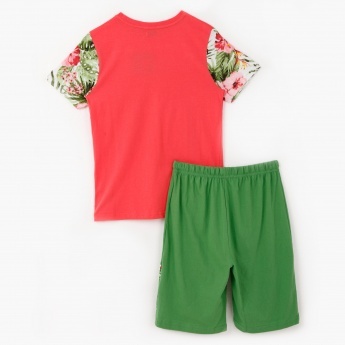 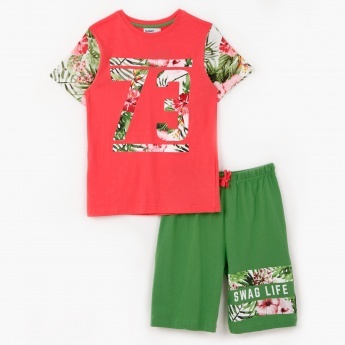 It comes with attractive tropical print lending it a trendy appearance. 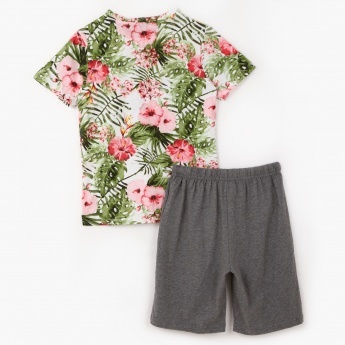 With an elasticised waistband, the Bermuda shorts are a breeze to wear.